FSU Art BFA ’05 Ari Richter’s upcoming exhibition Farewell to the Flesh is being held at the CUNY Graduate Center. 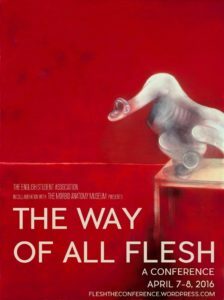 The exhibition is part of The Way of All Flesh, an academic conference that will bring together an eclectic, international group of researchers and artists around this most visceral of topics. Richter will install a new body of work (pun always intended), including skin drawings on glass, as well as a multimedia, IKEA wunderkammer filled with anthropomorphic taxidermy and some tiny tech. The conference is a collaboration between the CUNY English Student Association and The Morbid Anatomy Museum. All events are free and open to the public.